There are times I blog about various challenges people go through in pastoring, and I think on the flip side, it's equally important to give kudos where they are due. I talk about challenges because I have a heart for ministers who are walking this road and I want to encourage. This is one of my main passions in life. I believe one's pain can become one's platform, that they can stand on -- healed, to minister to others. On the other hand, I have to give praise for the blessing of the flock that Larry and I currently lead. When you have led an unruly flock, you appreciate one all the more that cooperates, at least with a minimal amount of biting! When we started out, an older pastor advised us, "Just be aware - sheep do bite!" They say over time the church personality and people take on the complexion of the pastor and all I can say about that is that it's mine and Larry's heart that John 17 would be reality in our church. More and more I see that happening, and it gives my heart joy! Oh that Jesus' prayer would become reality in all of our churches! When pastoring an unhealthy church, I would find it especially difficult when things happened in the church and people only thought about how it affected them. When Larry and I were installed into our abusive church as pastors, the district official who preached at our installation (who knew that it had a history of being a problem church) told the congregation, "Folks I want to admonish you to treat your pastor right. Your pastors are real people. If you cut them open, they will bleed." I don't think those people heard a word of that sermon! The truth is, we are real people. 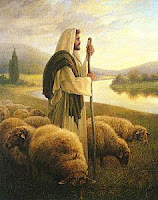 In fact, the shepherd hurts worse over difficulties in the church, but the sheep don't even realize it. Think about it - if you are a pastor or pastor's wife, you know you have your heart and soul into that place more than anyone else. It only makes sense that when anything happens good or bad it affects you more. However the people rarely if ever think about that unless they are really mature in Christ. And especially in any unhealthy flock they don't care because all unhealthy people care about is themselves! Selfishness is one of the major marks of immaturity or lack of health. But in a healthy church, people have consideration for others, including their pastor. I don't mean an unbalanced consideration where the people are leading the pastor or propping him/her up all the time. No, of course not. But I refer to a healthy perspective where people realize, their pastor is a person too, with real feelings. As an example, in an unhealthy church we pastored, my closest friend in the church ended up betraying us, and leaving with someone who had caused a major schism that split the church. It was horribly painful. When it happened, because my friend was a key person in the church who was in relationship with many, it was upsetting to quite a number of folks. But the people would talk to me as if I wasn't also hurt in the matter. Some spoke to me as if I could have actually prevented it from happening! . But no, I couldn't have. I would have done anything to prevent that pain, but I couldn't. Why didn't it make sense? Because sin never does. And people have a free will - you can't control them. What I wanted to do during that time more than anything was get up in front of the congregation and scream, "Okay people...it's like this....you think YOU miss her? You think YOU'RE HURTING? I loved her more than all of you, okay? I just lost the person I thought was my closest friend in more ways than one. Not only did she leave me, she betrayed me, so shut up already! You people basically have an emotionally stubbed toe, while I've just undergone open heart surgery without any anesthesia!!!" But no, I couldn't do that. I had to just keep getting up there week after week, sucking it up, holding my head up high, charging forth in leading the people and patching up their wounds. It was hard to bind up the people's wounds and not get my own blood on them. Leading while bleeding...it's a reality for shepherds. A book I absolutely hung onto for dear life during that time was T.D. Jakes, "When Shepherds Bleed." Larry and I believe it' s not good or appropriate for a pastor to come into church and blab their hurts, frustrations and challenges from the pulpit. Not that you should be be fake, but there's a time and a place for things. The pastor needs to come in and preach God's Word, not have a group counseling session. Also the shepherd is there to minister to the sheep and bind up their wounds, not the other way around - at least as a general rule. But I am proud of our sheep. They have become a sensitive and are a caring flock! And they not only care for each other, they care about us! I am seeing that our congregation is growing more daily into a perceptive, maturing group who don't need their pastor to tell them anything to know they need to pray or reach out, or to lift up their pastor's arms as Aaron and Hur. Sheep that are being led of the spirit act accordingly. I am seeing a new level of spiritual growth in our people and this makes me proud, especially since many of them have become Christians or come back to the Lord under our ministry. It makes me a proud Momma! Recently I've gone through something but haven't said a word about it to the sheep. Interestingly enough I have gotten quite a number of unsolicited notes or words of encouragement from many of them. 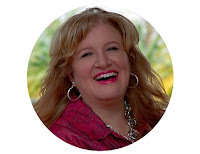 The general theme is, "we can only imagine how you must you feel, Pastor Deanna...our heart goes out to you...after all you have invested...just know that we notice, and God notices, and we want you to know we're with you 100% ..."
The fact that they do notice? imagine? care? It's pretty awesome. John 17 is becoming a reality more at Northside Assembly of God every day.